SQL Clarity: Dipping into the cookie jar. Dipping into the cookie jar. 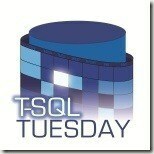 This post going to be a bit of a personal story, in this case very little to do with SQL Server but when I read the topic of this months T-SQL Tuesday I felt very compelled to write something. Over the last week or so I've reviewed and rewritten quite a lot of it, the first drafts were way too lengthy (yup, even more than this!). This is the final version that I am writing out, and I'm sticking to it! 10 years ago I suffered my first anxiety attack. I was in a meeting at work at the time; became very dizzy, nauseous, numb and had horrific stomach and chest pains. I remember trying to control my breathing which became very panicked and I had an overriding feeling that at any second I was going to black out. I didn't, I managed to leave the meeting but walked into the door frame as the dizziness became quite severe. I don't remember much else from that day. I know a short time later, maybe the next day, at the doctors I was told it was an anxiety attack, which was a bit of a relief at the time as I was convinced it something "serious" - at the time I was sure I was having cardiac issues and hadn't even contemplated, or been aware of anxiety. Despite the tablets that I was given (which I didn't take for long) and being told to take some time off (I went back almost straight away) I pretty much filed it away and carried on, until the next attack happened. This occurred on the downwards escalator in a local department store, same symptoms but I remember panicking much earlier. Same again, I don't remember much else apart from booking in again at the GP's. The next couple of months were extremely difficult. I was given medication that made me feel ill, referred to counselling sessions that on the whole I viewed as being quite upsetting and each day became progressively more of a struggle to get through than the last. The attacks came and went, sometimes very mild, sometimes not, but they were there and all the time I was surrounded by feelings of weakness, guilt, denial perhaps and if I am honest, some degree of shame too. I don't know when the tipping point arrived or indeed what originally sparked it, in truth it was more of a progressive process but what I can write about was a train of thought that I slowly began to realise more and more. This is one of my "dipping into the cookie jar" moments. You see whilst anxiety had left me feeling like I was a weak person and although the days felt like a struggle here I was day after day fighting it, albeit without fully realising but it's true, every day I was getting up and doing what I needed to do to get through it. Inner strength I came to understand isn't something that we know is there, at least not until we really need it and even then we might not fully realise it. But realise it I had, I started to draw on it and bit by bit I began to see and understand the things that I needed to change. This newly found "clarity" is what actually inspired the name of this blog; it took some time but now I had accepted where I was, I understood that is was perfectly okay to not be okay but I also knew where I wanted to be and how I was going to get there. A big part of that process was drawing upon that strength to have the courage to speak to others, those close to me. To use the cookie jar analogy; I needed help to open it, perhaps I needed to have the top loosened for me, and I certainly needed help to reach those cookies that were at the very bottom of the jar, but that's what we did. Some significant changes were indeed made, there were many ups and downs for sure but over time things got much better. I became used to stepping out of my comfort zone because at times it was the only way, sometimes needing that a gentle nudge of encouragement and offer of support. It always humbles me to witness how supportive people are when it's just in their very nature, every day you'll see people helping others with their challenges. And I always say to people not to trivialise the challenges they're going through; whether its seemingly big or seemingly small a challenge is exactly that, a challenge. Over the years I've faced many things, not least when exactly a month ago today when my Dad passed away. But through everything I've learnt that all of us, we really are a lot stronger than what we know. Sometimes we need to draw upon both positive and negative experiences but there's always that inner strength that lies within us. Sometimes we have to reach out; sometimes for the help, sometimes to help somebody else but between us, we really can get through anything.